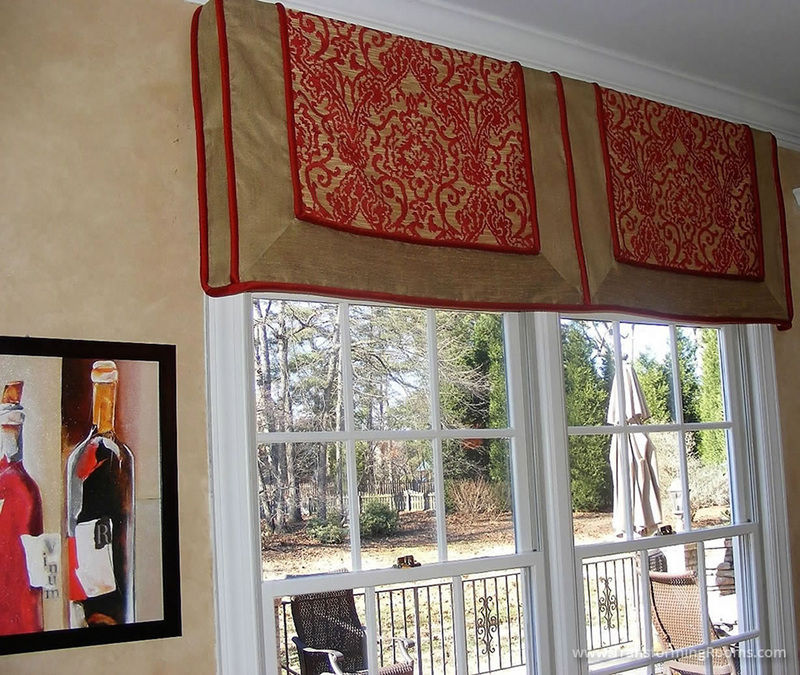 We offer valance options that are unique and colorful, to add personality to your home. 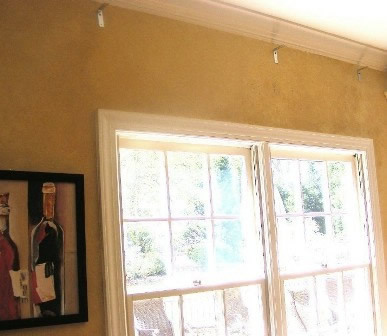 Notice how a window treatment transforms a window! Before, this window felt short, after, it feels like a nice tall window!